We can order and pay, you got the time to produce. @coaster, can we help ? nice work @Jetflap a kids dream comes to live. 4DBrix ‘Modular Track Switch’ concept blatantly copied. sorry to hear that, succes. @Lowa thank you, package received. 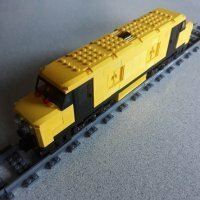 Lego Train 9V Extreme - ready! WoW, just realy nice, love it. 10254 - Lego Winter Village train retired? yesterday in the Atlanta Discovery center, Phipps plaza, 1 maybe 2 boxes on the shelf. ok, i backed 2 crossover, succes. 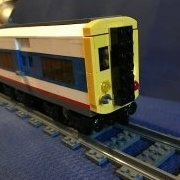 Is the 4559 Cargo Railway based on a real train? @Lowa I received the motors and controller this morning, nice work.